ONE DEAD FOLLOWING SINGLE VEHICLE WRECK IN BUTLER COUNTYOne man is dead in connection to a single vehicle wreck Sunday evening in Butler County. Butler County Coroner Jim Akers tells us the wreck occurred on County Road 465, west of Poplar Bluff. A vehicle driven by 30 year old Kyle Divine, of Poplar Bluff, ran off the side of the road and struck a tree. Akers says that Divine was pronounced dead at the scene. PUXICO MAN ARRESTED ON MULTIPLE DRUG CHARGES A Puxico man has been taken into custody on multiple drug related charges. According to the Missouri State Highway Patrol, 38 year old Bryan Pressley was arrested Sunday morning in Stoddard County on felony charges of possession of methamphetamine and unlawful use of drug paraphernalia. He is also facing a charge of possession of a controlled substance – marijuana. Following the arrest, Pressley was taken to the Stoddard County Sheriff’s Office on a 24 hour hold. 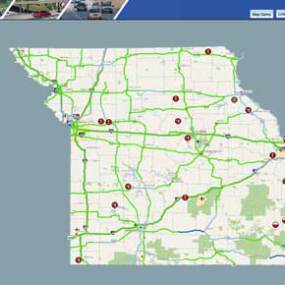 ROAD PROJECT BEGINNING TODAY IN STODDARD COUNTY Route WW in Stoddard County is being reduced to one lane beginning today so Missouri Department of Transportation crews can perform pavement repairs. The work zone is located from Route J to Route 60. Work is scheduled to take place today and tomorrow from 6 am to 4 pm daily. 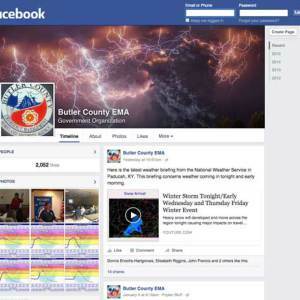 MONTHLY TEST OF BUTLER COUNTY WEATHER SIRENS TO BE HELD TODAY County officials tell us that the monthly test of the Butler County weather sirens will be held today. According to Butler County EMA Directory Robby Myers, the siren test will begin at noon in Poplar Bluff. REMAINS IDENTIFIED AS MISSING KENNETT WOMAN Remains found in a small waterway south of Kennett have been identified as a woman who has been missing since February of 2015. According to the Kennett Police Department, the remains have been identified as Deana R. Davison, of Kennett. A sample of the remains was sent to the University of North Texas Center for Human Identification where DNA was extracted. A comparison to Ms. Davison’s known DNA samples resulted in a positive identification. Officials say the investigation by the Kennett Police Department and Missouri State Highway Patrol Division of Drug and Crime Control is continuing. Anyone has any information regarding this case is asked to contact the Kennett Police Department. DECK COLLAPSE INJURES 16 IN SIKESTON 16 people were injured Friday night when a deck collapsed in Sikeston. According to the Sikeston Department of Public Safety, a family was reportedly having an event on their elevated outside deck, in which over 20 people were gathered. At some point during the event several people moved to one area of the deck to congratulate an expectant mother. Apparently the support gave way in this area of the deck and the deck fell away from the home. Several members of the group fell nearly 15 feet. Multiple agencies responded to the scene to assist with the injured. Most of the injuries were minor but there were some broken limbs, lacerations and back injuries. Reportedly there were multiple expectant mothers who fell, but at last report they were expected to recover without any complications. Fifteen of the injured were transported to Missouri Delta Medical Center and one was transported to a hospital in Cape Girardeau. POPLAR BLUFF MAN SERIOUSLY INJURED IN SINGLE VEHICLE WRECK A Poplar Bluff man was injured Saturday morning following a single vehicle wreck on US 160 in Ripley County. According to authorities, a vehicle driven by 82 year old Harlan Vincent drove off the side of the roadway, struck a tree, and overturned in a creek. Vincent was taken by EMS to Poplar Bluff Regional Medical Center with serious injuries. ADVANCE MAN ARRESTED ON UNITED STATE MARSHAL WARRANT An Advance man is in custody on a United States Marshal Warrant. Scott County Sheriff Rick Walter tells us that 36 year old Derek Dover was arrested on a warrant for escaping confinement due to him leaving a halfway house. Dover was arrested without incident on Saturday following a report of a suspicious male walking around the parking lot of a business. He was transported to the Scott County Jail and remains in custody with no bond. Walter says Dover will be extradited by the United States Marshall Service.